New Jersey native Kyle Hines won two Euroleague titles with Greece’s Olympiacos before moving to CSKA Moscow. 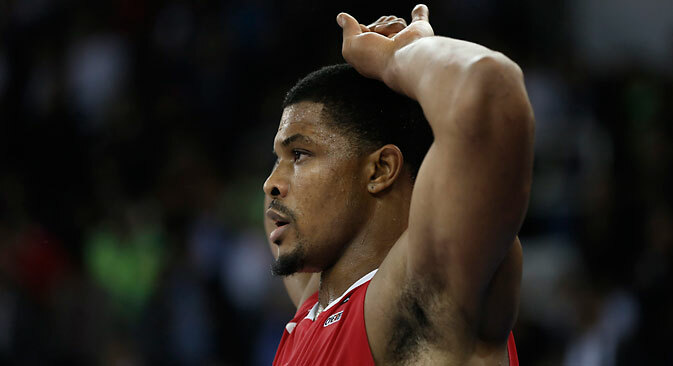 With his team now in the final round, Hines could be only the second player ever to win Euroleague titles three years in a row. Despite a strong showing in college, with the Spartans of the University of North Carolina at Greensboro, Kyle Hines was not drafted into the NBA. So he moved to Europe. So far, the 27-year-old New Jersey native is making his mark in the Old World, winning two Euroleague titles with Greece’s Olympiacos before accepting an offer from CSKA Moscow, where he has lead the club to the final round of this year’s Euroleague tournament. He spoke to Timur Ganayev of RBTH about his hopes for the tournament and whether he would still like to try his game in the NBA. RBTH: Kyle, you've won the last two Euroleague finals. Would you call the current Final Four the most important of your career? Kyle Hines: I think all four of them were important, it’s hard to necessarily say one, because without one, you can’t have the other. Each game in each Final Four has been different for me. The first one, the way we came back and won it, it’s still unbelievable. The second one, as an individual, I was able to enjoy it a little bit more because we were actually on the court and we kind of knew the game that we were going to have. This time, with a new team, with a new experience, I think it will be even more for me to enjoy. We have a great group of guys and hopefully it will be a great experience. RBTH: Who has the best chance in the Final Four? K.H. : Hopefully CSKA! Hopefully we have the best chance. It’s been our main goal throughout the entire season; we’ve been working hard towards it. Have you started to feel at home in CSKA after nine months, comfortable living here? K.H. : Yeah, yeah. At the beginning it was kind of a difficult transition coming from Greece, but I think overall it’s been a good experience. I feel comfortable here now. RBTH: Do you have any friends here in Moscow? K.H. : Mostly just the guys on the team and the people on the staff. RBTH: Would you still like to play in the NBA someday? K.H. : My goal is always to play at the highest level possible, whatever that highest level is. I’m always trying to improve my game and play at the highest level possible.